The NSPE House of Delegates (HOD) Meeting at the NSPE Annual Conference on July 22, 2017. The National Society of Professional Engineers (NSPE) had recognized years ago that even though they had 54 states and territories, they had thousands of different member dues combinations, which made for an operational and marketing nightmare. It also made it difficult for State societies across the country to share the same marketing tools and strategies. 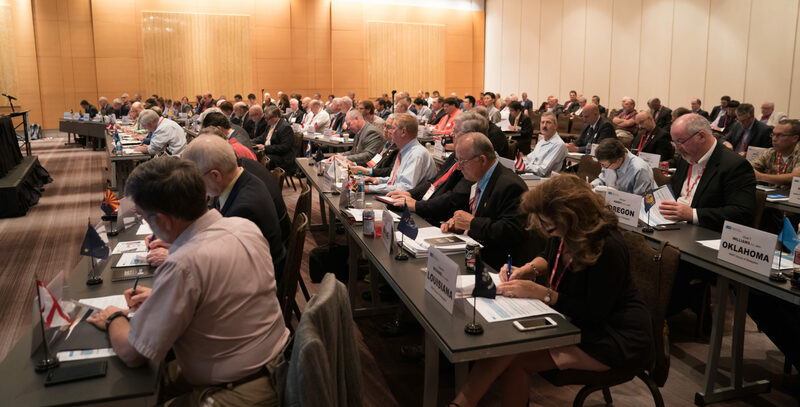 In an effort to change this, a few years ago, NSPE hired an outside consulting company and embarked upon a journey with an end goal of creating a unified dues structure. The above is a short video of Arthur Schwartz, CAE general counsel and National Society of Professional Engineers (NSPE) Deputy Executive Director. In this video, Schwartz speaks on the advocacy efforts that NSPE has been involved in as of recently. His speech took place at the NSPE Professional Engineering Conference in Dallas, Texas in June of 2016. Tim Austin, PE, NSPE National President, presented a year end summary at the NSPE June conference on June 23rd, 2016 in Dallas, Texas. 10 NYSSPE members including Executive Director Anthony Fasano, PE (seen in the photo above with Tim Austin) attended the conference to bring NYSSPE these updates. 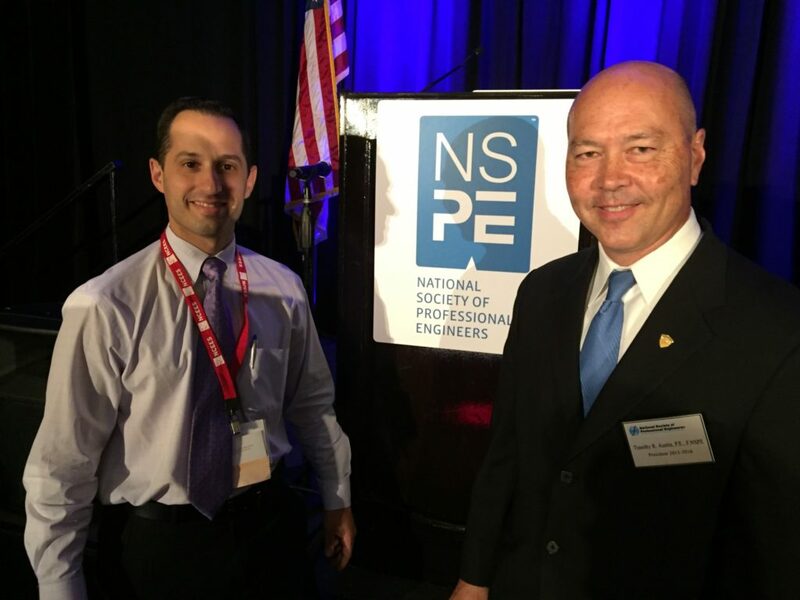 In a year of increased activism and impact, here are 17 specific ways NSPE delivered for professional engineers, based on Austin’s update and documentation handed out at the meeting. Across the country, NSPE addressed the growing number of challenges that would weaken or eliminate licensure. The most serious of these came in August, where extensive advocacy efforts by the Indiana Society of Professional Engineers and NSPE resulted in the Indiana Job Creation Commission rescinding its recommendation to eliminate licensure of the professional engineer in the state. Similar efforts at “occupational reform,” while often not specifically targeting the PE, presented serious threats to engineering licensure in Arizona, Delaware, Iowa, Maryland, Minnesota, Missouri, North Carolina, Rhode Island, Vermont and Washington. The Professional Engineers in Private Practice (PEPP) Young Engineers Advisory Council (YEAC) committee is made up of National Society of Professional Engineers (NSPE) members under the age of 35 that work in the private practice division. Each year, PEPP YEAC members select one or more projects to focus on throughout the year. The projects are designed to help young engineers in developing their leadership skills and become better engineers or help seasoned engineers learn how to help mentor and motivate young engineers. Through a series of monthly conference calls, the group works as a team to develop this project into something to benefit young engineers, PEPP and NSPE as a whole. 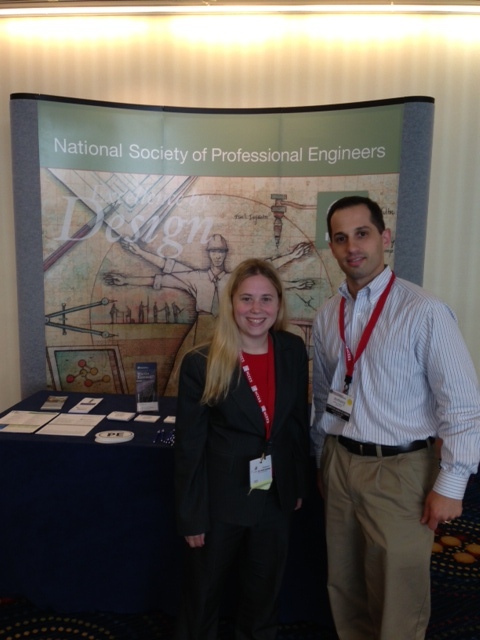 The National Society of Professional Engineers work together with MultiState Associates, Inc. The National Society of Professional Engineers (NSPE) has announced enhanced services that are now available to its’ state organizations for state legislative tracking and regulatory tracking. By working with MultiState Associates, Inc., the NSPE now has access to MultiState’s legislative tracking service, which provides access to the most updated and comprehensive data of national legislation and regulation. The New York State Society of Professional Engineers, Inc. Copyright © 2019 NYSSPE ®. All rights reserved.